Dr. Kennedy recently completed his Ph.D. in Criminal Justice at the University of Cincinnati, where he was Graduate School Dean’s Distinguished Fellow, as well as a Yates Scholar. While at the University of Cincinnati Jay was awarded a Graduate Minority Fellowship from the American Society of Criminology, and received several research grants and awards. 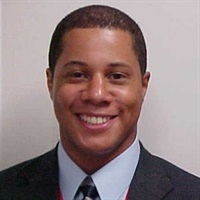 A graduate of the MBA program at the Carl H. Lindner College of Business, University of Cincinnati, his research focuses upon the multi-level antecedents of corporate crime, deviance within corporations, employee theft, the role business ethics plays in decision-making, product counterfeiting and intellectual property theft. Prior to attending graduate school, Jay spent just over 8 years working for a number of corporations in the metro Detroit area, including a major non-profit organization, a family-owned automotive supplier, and a Fortune 100 corporation. Dr. Kennedy has a PhD from the University of Cincinnati as well as an MBA from there. He also has a Masters of Science form Wayne State University and a Bachelors of Science from Eastern Michigan University.